How do we measure this success? Hundreds of safety-minded educators, law enforcement officers, social workers and community members gather every year at school safety conferences to focus on school safety issues and find answers to tough questions facing our schools and students. 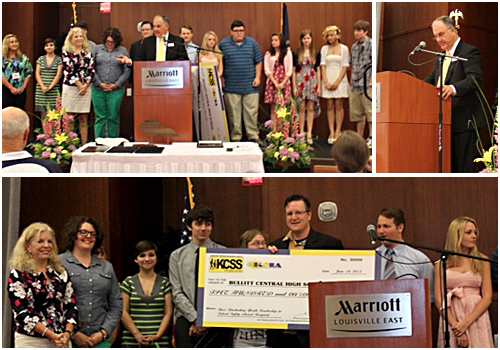 A wide variety of school safety topics were addressed in the Safe Schools and Communities Conference. For the first time, law enforcement officers teamed up with school personnel to produce comprehensive school safety training sessions that addressed issues such as building security, drug abuse, active shooter psychology, bus crisis response, natural disaster response, suicide prevention, law updates, and much more. 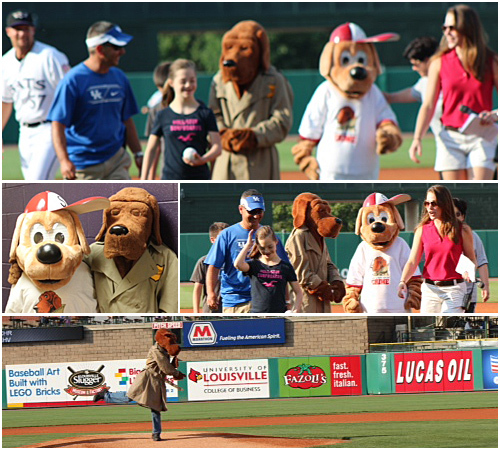 McGruff and Scruff threw out the first pitch at the Louisville Bats game on Monday, June 10th. This was part of the law enforcement family night at the Safe Schools and Communities Conference.